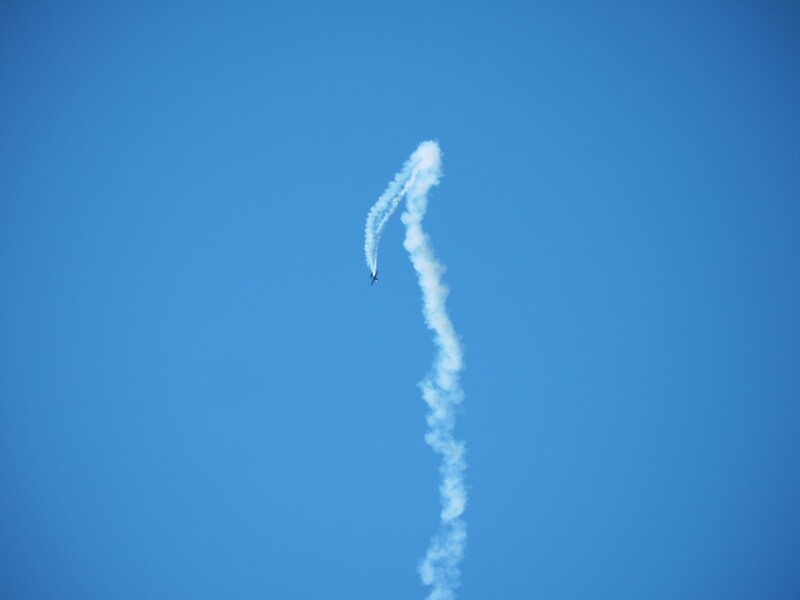 I caught some of the air show acts practicing for the Fleet Week Air Show; it was a happy coincidence that my wife and I were down there to speak with the Balclutha’s staff about an event. 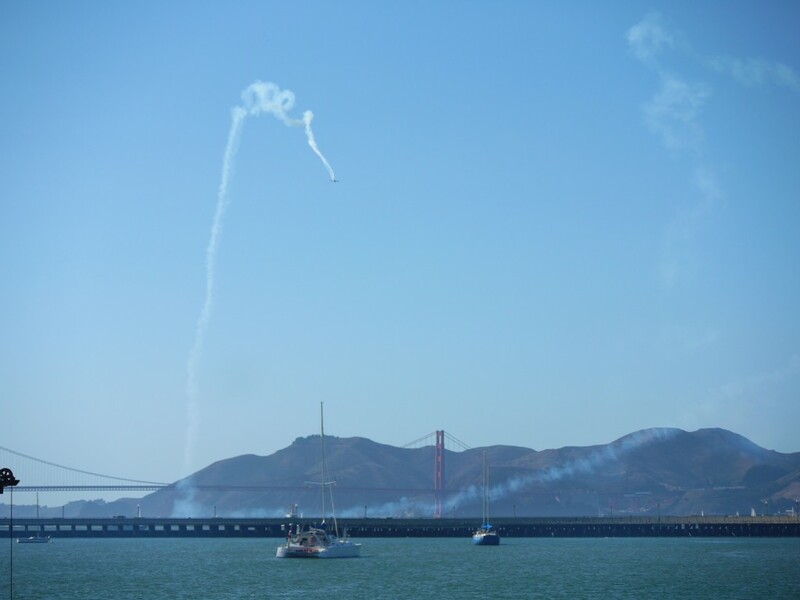 The next two shots show John Kelly flying his Staudacher S-300D custom aerobatics plane near the Golden Gate Bridge. 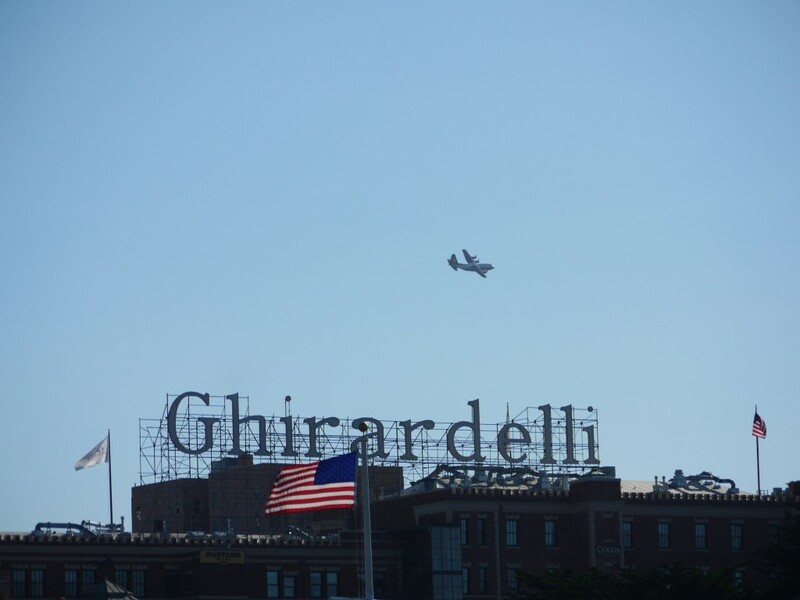 This shot shows the U.S. Marine Corps Lockheed-Martin C-130T Hercules flying past the Ghirardelli Factory. This aircraft is nicknamed the “Fat Albert Airlines”, and is part of the U.S. Navy’s Bue Angels. This entry was posted in people, places, things and tagged Air Show, Fleet Week, Golden Gate Bridge, Hyde Street Pier, San Francisco. Bookmark the permalink.